“i” is a versatile character WAV Publications, 1986. Flight 39, Abalone Press. 1986.. Both by Jenny Boult. Reviewed by Mark Roberts. First published in Tribune 23 July 1986. Jenny Boult’s sixth book.”I” is a versatile character, is also her first book of prose. It follows her play, Can’t Help Dreaming, which was performed by the All Out Ensemble in Adelaide, and four books of poetry. The stories in this collection vary greatly in form and content, but they share a particular “poetic” style of writing which is rare among contemporary Australian prose writers. Although Boult is by no means the first Australian poet to publish fiction, she has been more successful than most in bringing to her prose many of the skills she has developed writing poetry. The narrative structure of the stories also relies on a poetic model. Boult builds her stories around a series of images which eventually build into an extensive over-view encapsulating the whole story. 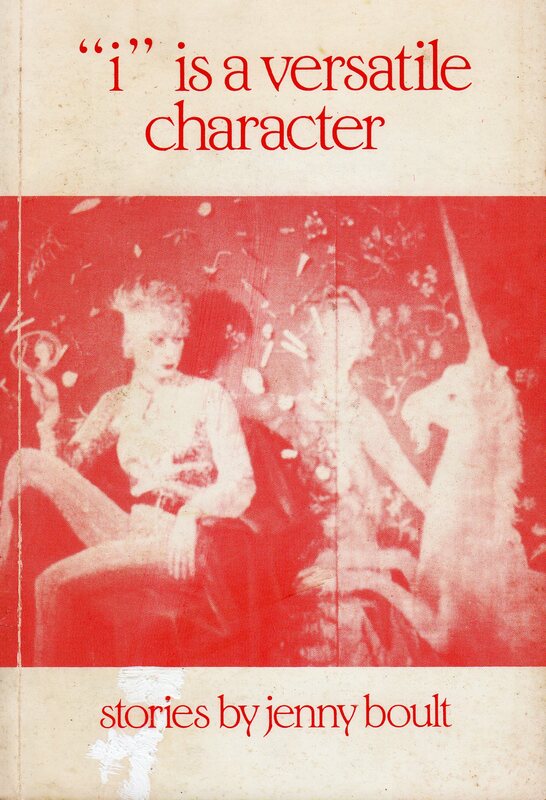 The most successful example of this can be found in the title piece ‘”i is a versatile character”, and the impressive longer piece, “no room at the top”. After this sense of freedom it comes as something of a shock to realise that many of the stories are. structurally, fairly disciplined. In “no room at the top”, for example, it is not until the final section that we realise that the piece has been loosely structured around the alphabet, “this is the last letter in the alphabet of pain, the final broken rung on the ladder, the damaged knee and the whiplash of intention.” It is not an easy alphabet, nor is it a heavy handed one. But it firmly anchors the story and allows the 26 sections to fall into place. In “TWENTY QUESTIONS”. Boult uses a similar device, only this time the anchor is the title. We expect twenty questions, and. in a way, that is what we get. The only direct question, however, comes in the final section. In the preceding 19, the questions rise from the images, the pieces of the collage which Boult presents us with. We try to piece them together, looking for the answer as we go. But. Eventually, like Estragon and Vladimir Waiting for Godot, we are returned to the beginning: “The audience asks, “who is she?” The woman invites them to look again. In contrast to the fantasy and experimentation in “I” is a versatile character. Boult has returned to her ‘roots’ as a performance poet in Flight 39. Boult has performed many of the poems in this collection to audiences around Australia over the last few years. Most of the poems are clearly meant to be read aloud, indeed, many of them sit somewhat uncomfortably as words printed on a page. 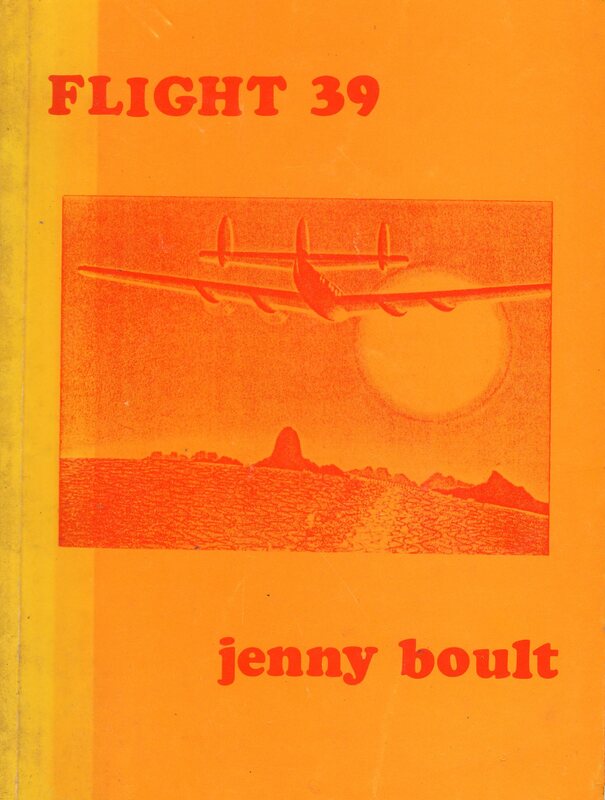 The song-like quality of much of Flight 39 gives the collection an accessibility which is rare among contemporary poets. Boult’s accessibility, however, is never patronising. Her appeal comes from her lyric style, the experiences she writes about and her wonderful black sense of humor. But perhaps the strongest poems in this collection are the two poems grouped together under the title, “in solidarity with the british mine workers 1984-5”. In the first poem. “September 1984” Boult, who grew up in a British mining town, describes how she felt as she watched the attacks on the picket lines on television in Adelaide. You may have a little trouble getting these books from your local bookseller, but it is well worth the effort. You can also order the books directly from the publishers: WAV Publications. Box 545 Norwood South Australia 5067. and Abalone Press PO Box 2(12 Cheltenham Victoria 3192.